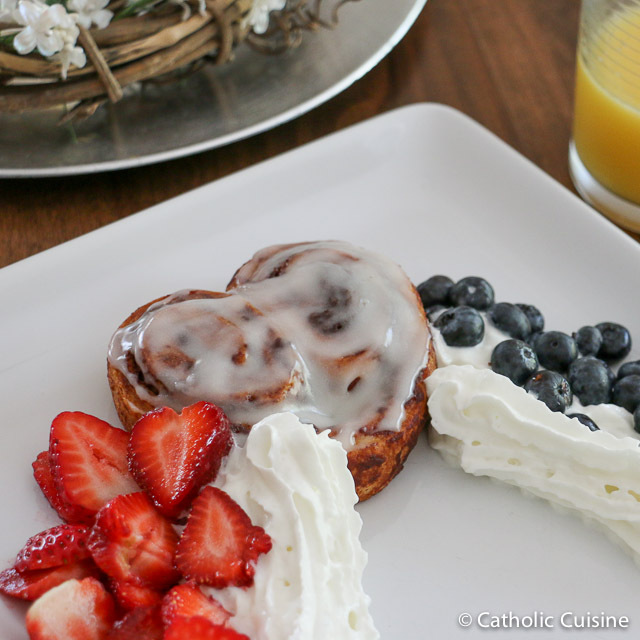 Last year I made these heart shaped cinnamon rolls with whipped cream and berries to serve on Divine Mercy Sunday along bacon, scrambled eggs and orange juice. They were so easy to make and I'm planning to serve them again this year! 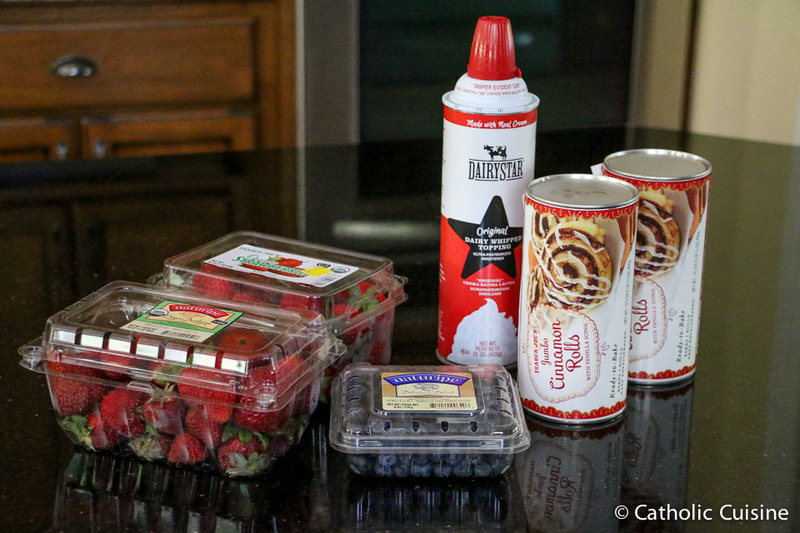 Take each pre-sliced cinnamon roll and completely unroll it. To re-roll it into the shape of a heart, simply roll up both ends at the same time until they meet in the middle. Pinch the bottom to form the "point" of the heart. Bake as usual. 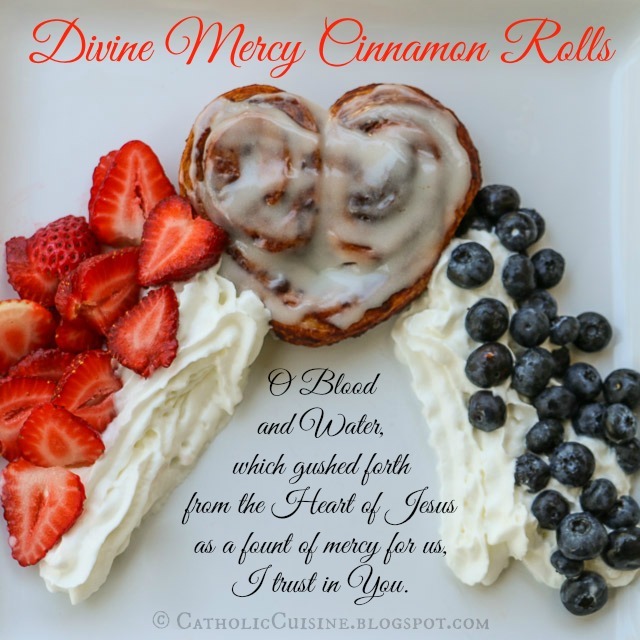 Scroll though all past recipes for Divine Mercy Sunday here.